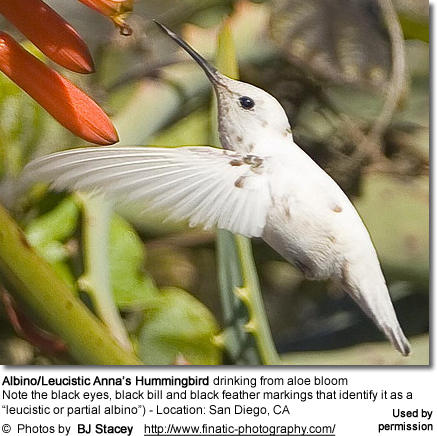 Nectar (a sweet liquid inside flowers) is the first thing coming to mind when considering what a hummingbird eats. Adult hummingbirds require copious amounts of energy, and so they crave the sugar in the nectar found in many tubular flowers. Like bees, they are able to assess the amount of sugar in the nectar they eat; they reject flower types that produce nectar that is less than 10% sugar and prefer those whose sugar content is stronger. 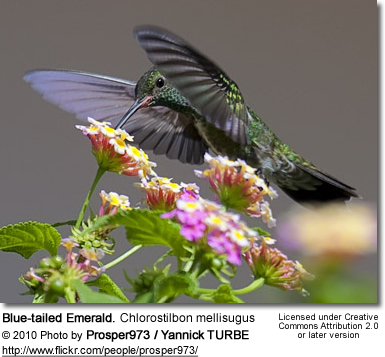 As hummingbirds collect this nectar, their grooved tongues dart in and out of the flower up to 13 times per SECOND through bills that are usually long and straight or with a down-curve. The shape of the bill is adapted to the shape of the mostly tubular flowers found within their range. Hummingbirds need to feed 5 to 8 times every hour, but each feeding lasts a minute or less (~30 to 60 seconds), and they must visit hundreds of flowers daily. Their extremely high metabolism requires them to eat enormous amounts of food. In fact, they eat up to 10 times their body weight in food every day - even more in preparation for migration when they usually double their weight to be able to meet the challenging demands associated with the pending migration that may require them to travel over two thousand miles. Benefits for Native Plants. In the process of feeding, flowers benefit from cross-pollination as the hummingbird’s head becomes covered with pollen and spreads from flower to flower. As they move to the next flower, the pollen is deposited on the next flower, which is then able to produce seeds and fruit. Some native plants rely on hummingbirds for pollination and would not be able to exist without the "services" inadvertently rendered by the hummingbirds. 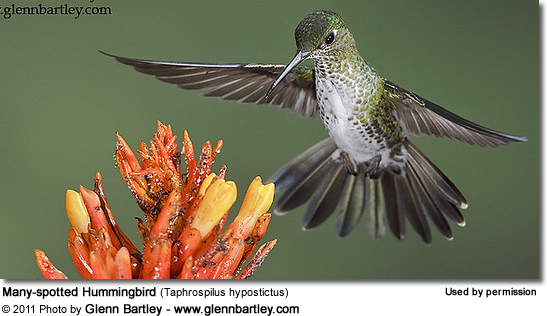 Other Foods: Hummingbirds cannot live on nectar alone but require other nutrients, especially protein, but also amino acids, vitamins, minerals, etc, obtained through consuming copious amounts of small insects and spiders, much of which they catch in flight. The percentage of insects in their diets increases drastically during the breeding season - particularly when feeding young, when their requirement for protein increases drastically. 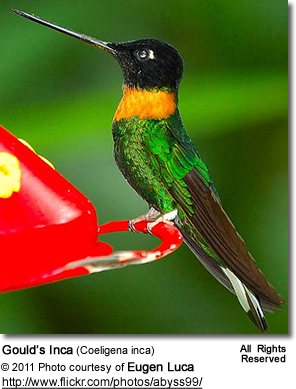 They will also take advantage of hummingbird feeders and many people put hummingbird feeders up to allow them to attract hummingbirds and observe them up close. The below link will provide information about what feeders work best and what hummingbird food recipe to use. Most commercially available products contain chemicals and other ingredients that may be harmful to hummingbirds - and are expensive to boot. Hummingbirds also require water for drinking and bathing. They are particularly attracted to "moving water," such as water fountains or bird baths with water wigglers.